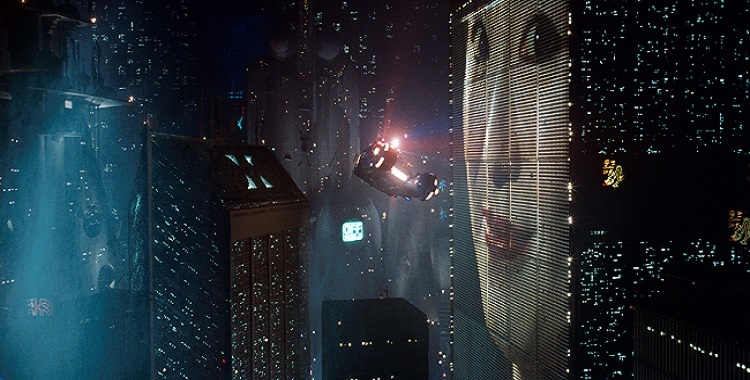 Admittedly this shot makes Blade Runner look quite good, but trust me, there is little beyond the iconic imagery. Blade Runner is nothing more than a visual spectacle, and its special effects are quickly failing the test of time, which means it’s swiftly losing the only feature that could be considered somewhat redeeming. The film is remarkably flat, in terms of both its characters and narrative; it is completely unengaging in its entirety. Deckard (Harrison Ford) is assigned to find and kill ‘replicants’, which are ‘biorobots’ that have been declared illegal on Earth. The replicants effortlessly blend into society as they look and behave exactly like humans, their cover is blown only through detecting their lack of empathy. This clinical, emotionally detached approach is common in many of Ridley Scott’s earlier work; the whole crew of ‘Alien’ were forgettable, much like the cast of ‘Blade Runner’. I didn’t sympathise with or fear any character, leading to its conventional, tired plot lacking any device to thrill, entertain or ultimately keep me watching. It took an act of will and devotion towards my friend (who is a fan of BR) to endure the whole thing.